Even though I adore the Swoon Reads imprint because of the swoony romances, I was still excited for The Soul Keepers, which has no romance (at least with the main character) in it. I was promised an action-pack adventure and it more was more than fulfilled! The Soul Keepers begins right away with Rhett and his parents dying in a car accident and Rhett looking at the scene away from his body. He soon realizes that they have all died and comes across a figure, Basil, who can see him. Basil recruits him to the Harbinger, which holds all of the souls and the syllektors (soul collectors and what Rhett has now become). The world building is fantastic in The Soul Keepers. I loved learning about the Harbinger and the job of the syllektors as Rhett goes on missions with his new crew. Part 1 really focuses on explaining what’s going on and why the souls need to be collected. Part 2 then skips ahead to ten months later when the monsters controlled by a demon who wants Rhett start attacking the his crew and the rest of the ship. There is a prophecy involving Rhett, which is why the demon is after him in the first place. I don’t want to spoil anything so I’m hot going to explain the mythology. I don’t think I’ve ever read a novel dealing with the afterlife like The Soul Keepers does and I really enjoyed how Devon Taylor tackled everything. His writing style fit so well with explaining the world and letting Rhett’s voice shine through while also keeping the story quick and fast-paced. I enjoyed the other characters and the interesting dynamic that formed between them. I especially liked Basil and Mak. 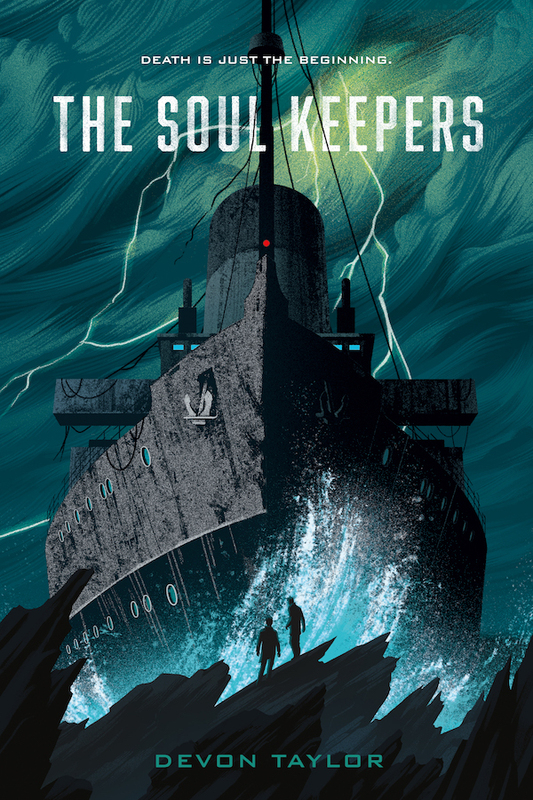 Overall, The Soul Keepers is an action-packed debut novel filled with adventure and fascinating world building! I cannot wait for a sequel!